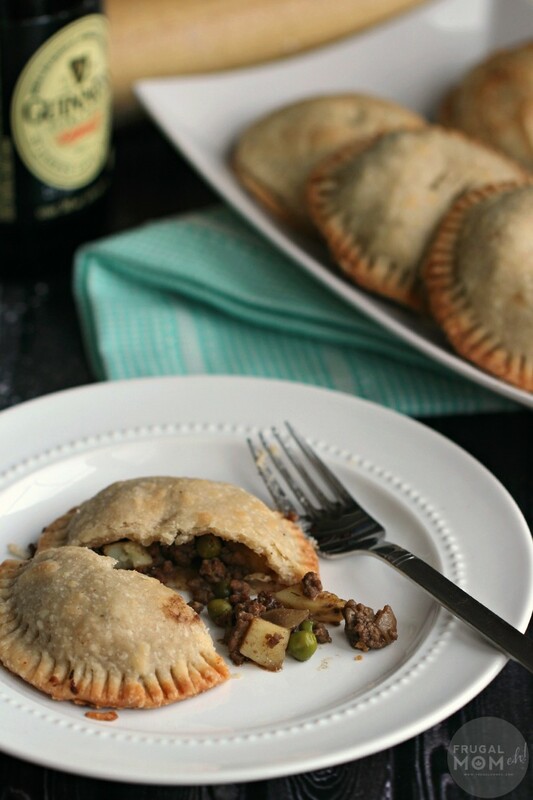 Beef and Guinness Hand Pies - Frugal Mom Eh! 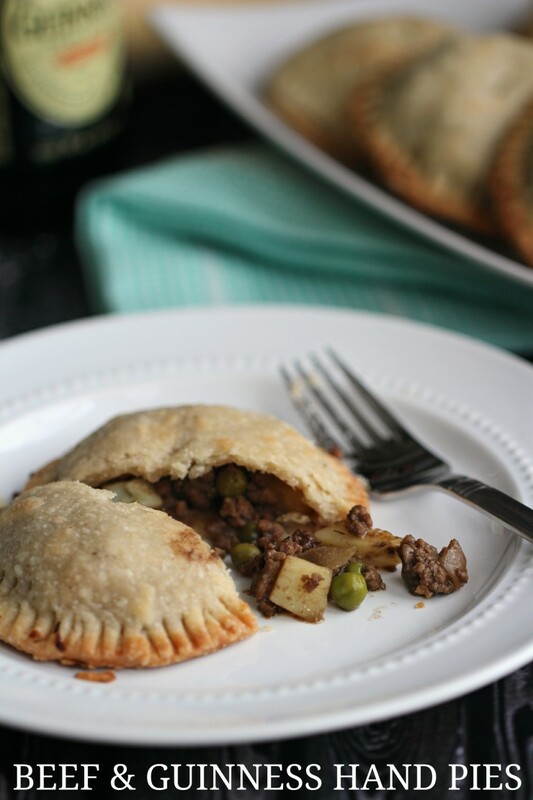 Beef and Stout pies are a favourite traditional recipe from the UK. 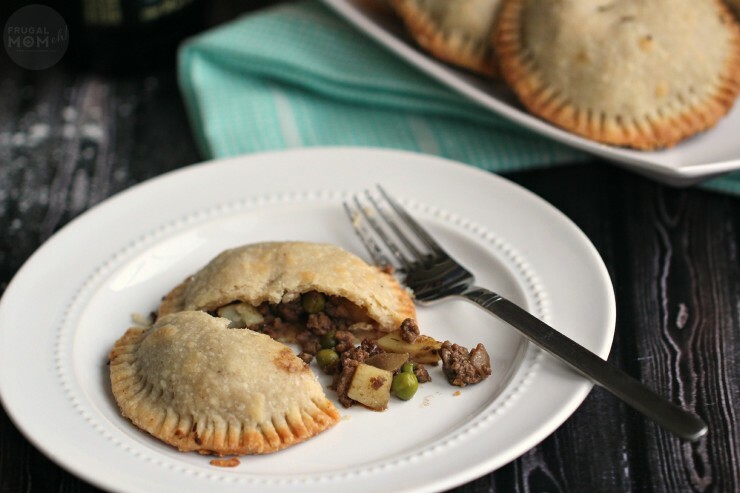 Typically it is made with good cuts of beef, stout, mushrooms and all sorts of good stuff. 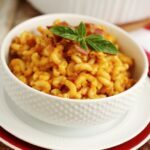 I’ve modified the recipe to simplify it and make it accessible no matter your budget and of course kids love eating with their hands so even the pickiest eaters will enjoy this one! I chose to use Guinness because it has such a distinctive flavour that I think works really well, plus its a fab nod towards St. Patrick’s Day and making it a little bit more of a specifically Irish recipe. These would be great to serve up at any St. Patrick’s Day themed dinner parties! Not only are they delicious but they are pretty cute and easy to eat with just a napkin making them perfect party food! 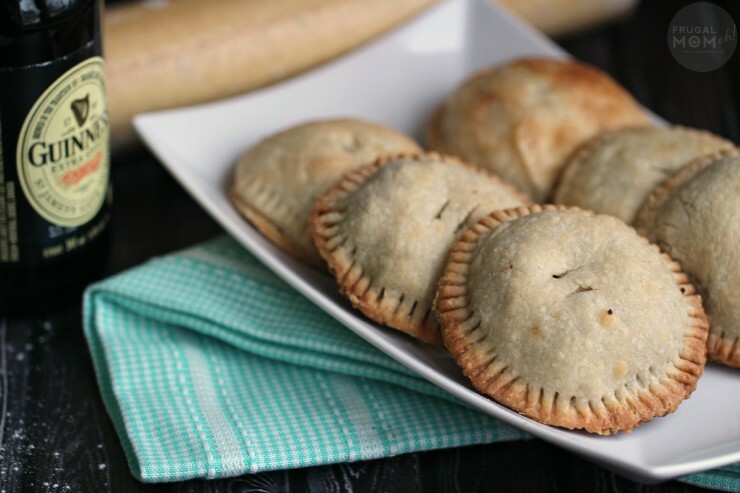 2 packages of Deep Dish Pastry Shells (4 Shells total) OR your favourite pie pastry recipe doubled. Grease a baking pan with cooking spray and set aside. In a skillet over medium-high heat, brown beef and onion then stir in the vegetables, thyme, Guinness, Worcestershire sauce and seasonings then bring to a boil. Reduce heat and simmer for 7-8 minutes or until vegetables are tender. Roll out pastry dough and cut out 16 – 5 inch rounds and 16 – 5.5 inch rounds. Spoon filling onto 5 inch rounds, brushing milk around the edges and cover with the 5.5 inch rounds and press with a fork to seal. Bake 12-15 minutes and serve warm. Roll out pastry dough and cut out 16 - 5 inch rounds and 16 - 5.5 inch rounds. 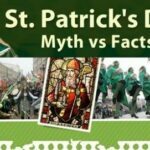 For other St. Patrick’s Day themed recipes check these out too! These look great! Perfectly satisfying on a bitter cold day like today…. These sound so good. I would find it hard to stop at one. How perfect are these for a St. Patty’s day party! They look really yummy. 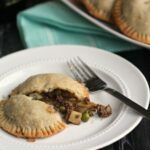 These look delicious–I will have to try them soon! 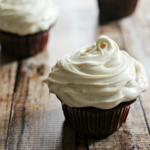 these might be on the menu for today…. My dad would totally love these! Thanks for sharing! These look so delicious, tempting me to skip the corned beef and cabbage on St. Patty’s Day this year! 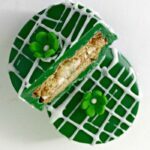 Planning to makes these for St Pattys Day! Pinned these some time ago and just got around to making them. Delicious! My children even loved them and asked me to make them again next week. Great recipe, thank you! Will this work ok with a puff pastry? I haven’t tried with this recipe, but I’m fairly certain that would work just fine. 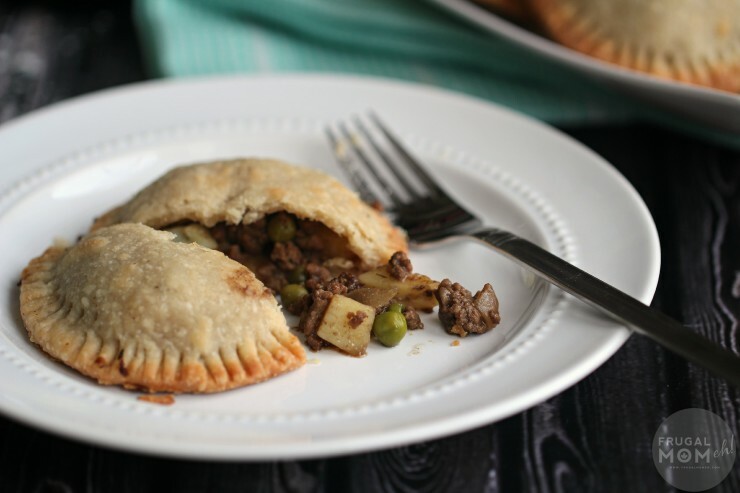 If you try it with puff pastry let us know how it works out! I’ve made the filling and set it aside to fill the pastry the following day. I would advise to hold back on the beer to 3/4 of a 12 oz bottle. I added a full bottle and it was too loose. I reduced the mixture until it was more condensed. The flavor intensified and was delicious. Do you think these would freeze well for a quick “reheat in the oven” type dinner for my boyfriend on nights I’m not home to cook? Yes, they should freeze well. Freeze them unbaked though. My son, 8 yrs old, and I JUST made this… as in it’s currently in the oven baking. We just combined it into 1 big deep dish pie because of time, ie: his attention span, and doubled up the ingredients and the simmering time. We’ll see how that works out BUT the filling is absolutely FANTASTIC! We couldn’t stop eating the little bit that was left over! Next time I’ll make it to the “T” but as it is right now, I love this. Good job!